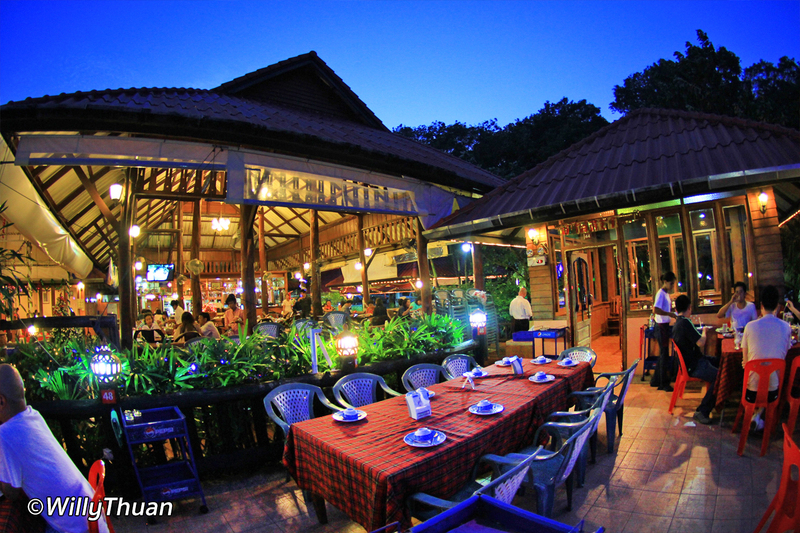 Pak Nam Seafood in Phuket Town is a great Thai restaurant located off the tourist areas. 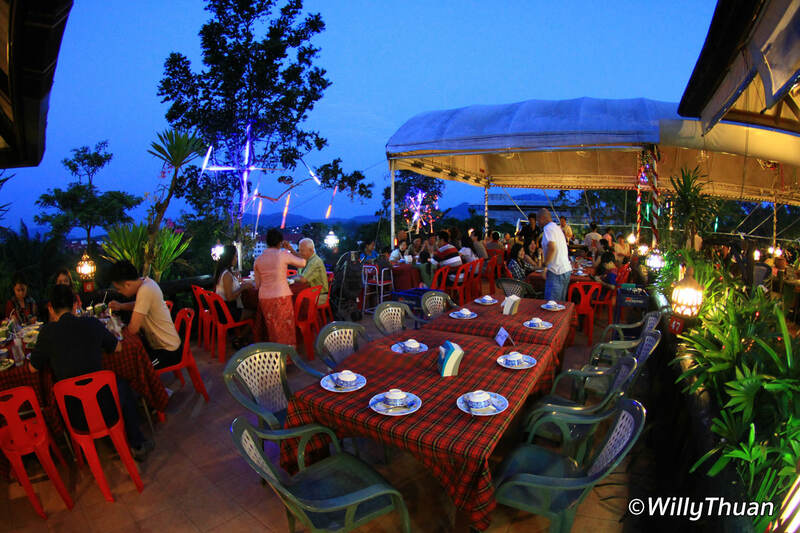 Locals and residents know Pak Nam restaurant very well and like to bring their friends for a casual lunch or dinner. 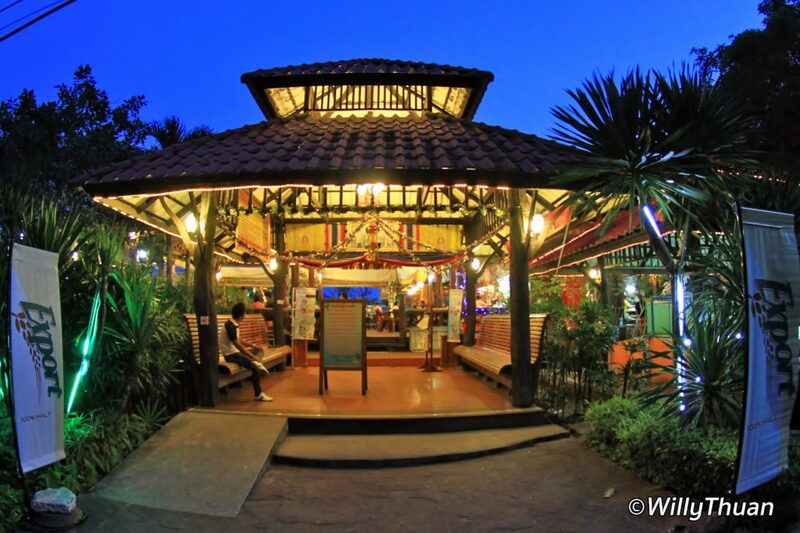 It’s a great venue if you are in a mood for good seafood. You can sit in the main open-air room, at the terrace or in one of the air-con rooms. The menu is surprisingly long, decently illustrated and in English. Staff can also speak enough English to take your order. ‘Pla Sai Tok Kamin’ – small deep fried fishes with turmeric. ‘Pad Pak Miang Koong Seab’ – green leaves with dry shrimps. 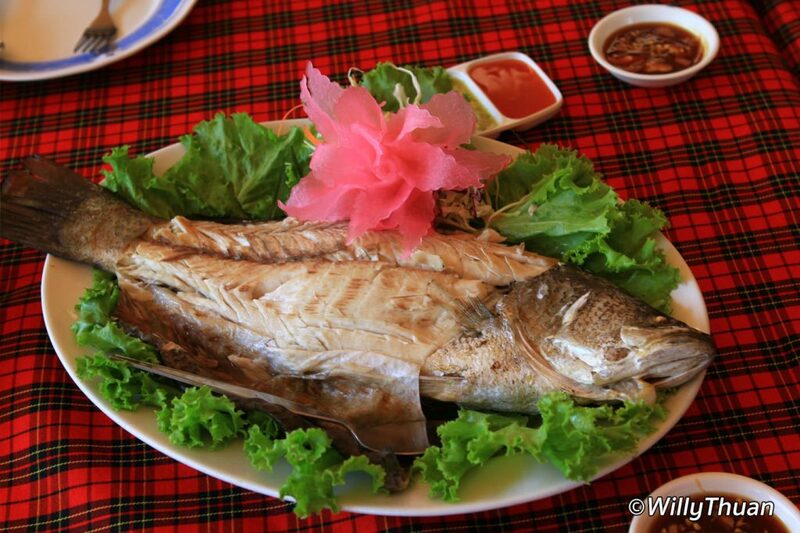 ‘Pla Ka-Pong Nung’ – a sizeable steamed fish. ‘Yum Toa Poo’ – green beans salad with squid. 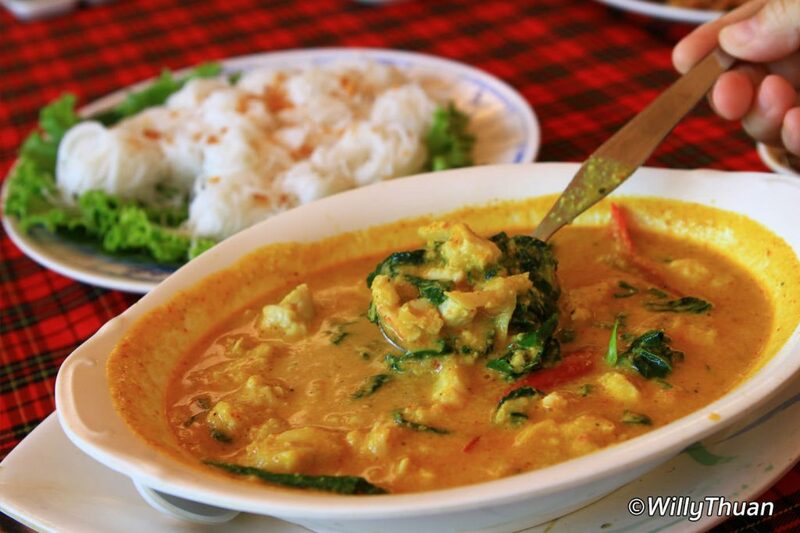 ‘Kaeng Poo’ with ‘Bee Hoon’ – Crab curry with rice vermicelli. ‘Tom Yum Talay‘ which we don’t need to introduce any more. 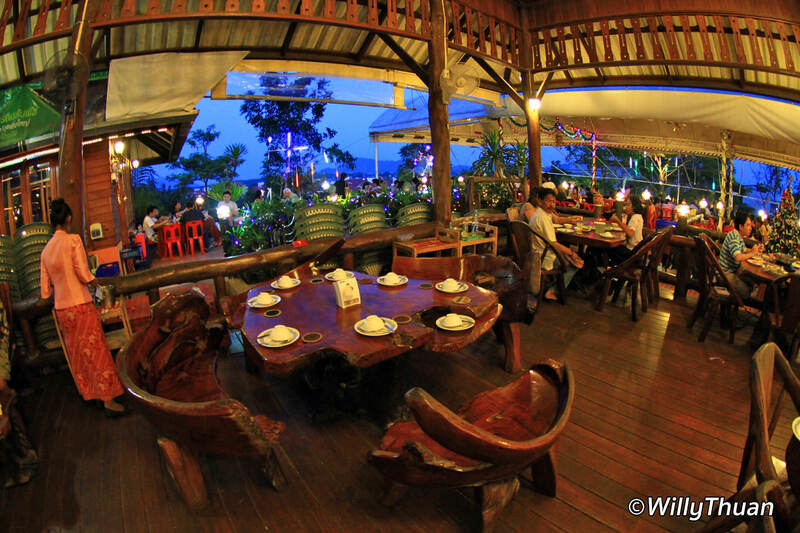 One of their speciality is ‘Pla Jalamed’ – white Pomfret fish with mushroom and soya sauce. ‘Taow Toey’ – the same dish but with grey Pomfret fish, more expensive and of course it tastes even better. Pak Nam Restaurant is open for lunch and dinner and can be busy on some days in which case it can take some time to get served. Price is very affordable, and if you are more than four guests, you should consider booking in advance. It’s not easy to find Pak Nam so better use the map below. You will have to turn right at the traffic lights just past the Mission Hospital located at the city limit, on the way from town to the airport.